The lighting of Kongming lanterns, also known as sky lanterns, has been a popular tradition for centuries throughout most of Asia. Like a hot air balloon, the lantern is propelled by a small flame that guides it up towards the sky during the Taiwan Lantern Festival each year. 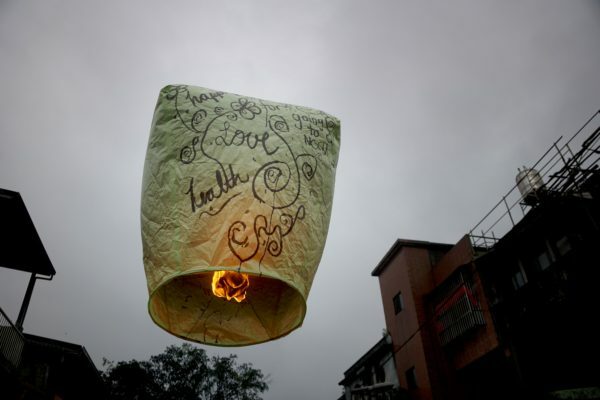 In Taiwan, lighting Kongming lanterns is especially popular during the Lunar New Year holiday. The locals believe that these lanterns carry their prayers to the sky to bring them a fruitful and fortunate new year. 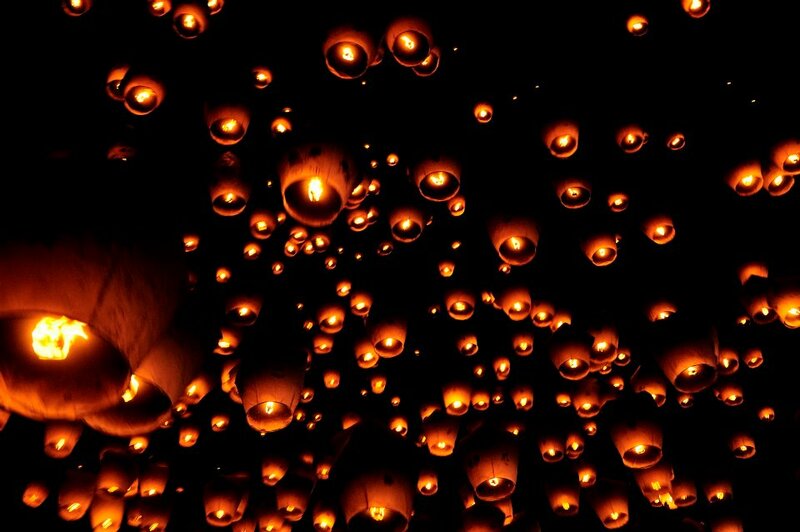 In Pingxi, there is an annual festival where thousands of lanterns are floated into the sky together. It is said that the floating lights resemble a constellation of stars as the lanterns flicker and float away into the night sky. Though watching thousands of lanterns fly into the sky together is a majestic site, fighting the crowds and getting to Pingxi can be a bit of a hassle. It takes some advance planning. 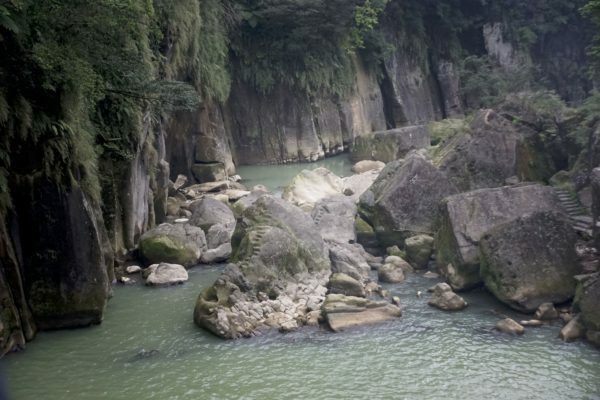 Personally, I would advise getting a hotel in Pingxi if you decide to go, otherwise it can be challenging getting back to Taipei after the festivities end. If you are like me and prefer a more relaxing way of doing things, then I suggest visiting Shifen, just three train stop before Pingxi to send your lantern of hopes and dreams skyward. Lighting lanterns is available at all times of the year, so you don’t have to wait until the new year festivities to have this special, memorable experience. 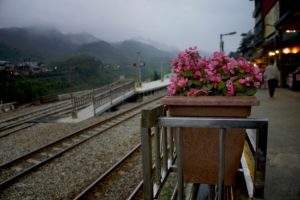 As soon as you exit the train at Shifen station, you will be in the heart of the charming old street. Shops selling souvenirs, Taiwanese sausages and other delicacies, and artisan crafts stalls fill the market along the tracks. 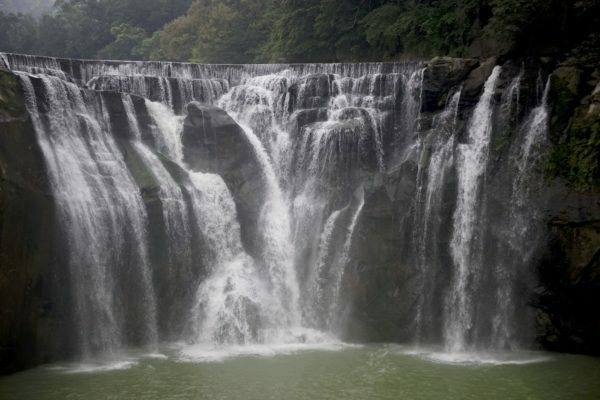 If you walk beyond the train tracks, you can visit the stunning and magnificent Shifen Waterfall, which is just a 15-minute walk from the town’s center. Signs mark the waterfall trail, so it is easy to find upon arrival. There are many shops selling the Konming lanterns in the market area. The train passes by every 30 minutes, so during this time gap, people go onto the tracks to send their lanterns into the sky. 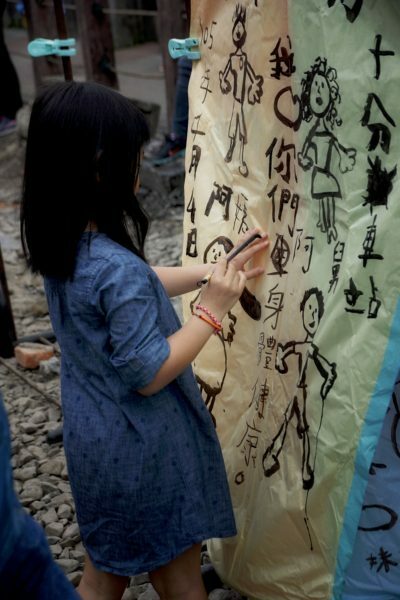 Before sending the lanterns up and away, you can decorate your lantern using a traditional Chinese paint brush and black ink. The shops provide an easel-like stand to paint the lantern on the side of the train track. You are free to express yourself in anyway that you wish. Some people paint pictures, others write a message, and some traditionally write their prayers or wishes. When I visited Shifen, I traveled with my brother, so we set up the stand in a way where we could not see what the other was paining until we were finished. It was amusing how differently we interpreted what to do with the lantern. Sending the lantern into the sky was a joyful moment, and it will be a memory I cherish for a long time. In order to go to either Shifen or Pingxi, take the northbound train from Taipei Main station to Ruifang station. Make sure not to take the Keelung northbound train. Once you arrive at Ruifang station, you will transfer to the Pingxi Line. Shifen is only three stops down, while Pingxi is a total of six stops. Overall the trip takes about an hour and half, maybe two hours if you have to wait for the trains.